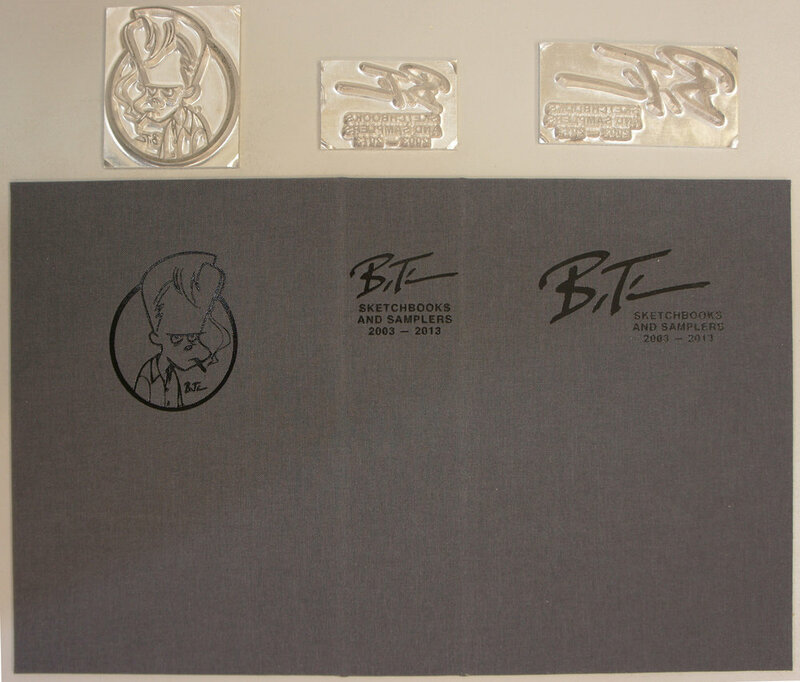 It is customary for the title and author to be stamped in foil on the cover or spine of a book. The studio has a range of lead type in stock from which the title is hand-set, and foil stamped. 18 point Caslon is typically used for scripts and thesis bindings. Foil is available in gold, silver, black, red, green, and brown. Other colors may be special ordered. Some clients wish to use custom artwork, logos, and images. This is possible by having a magnesium stamping die made. Images of this type of project can be seen below. maximum size, 5.75" x 9.75"
Stamping dies are made off-site, are charged by the square inch, and shipping charges apply. Gibbs Bookbinding is happy to assist in creating print-ready files from your artwork, but design fees will apply. 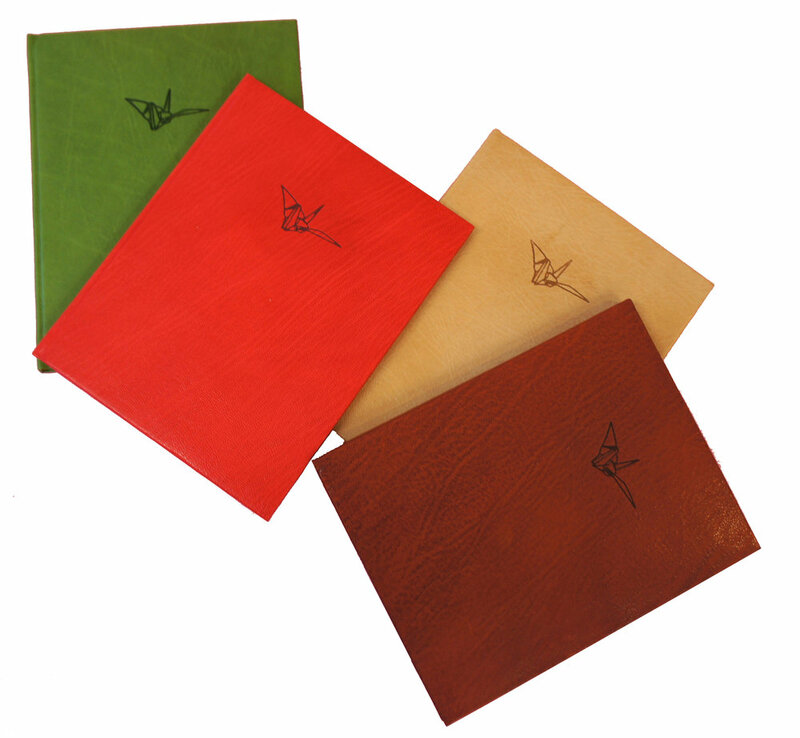 Stamping may be done on paper, cloth, or leather; and on the spine, front cover, or back cover.